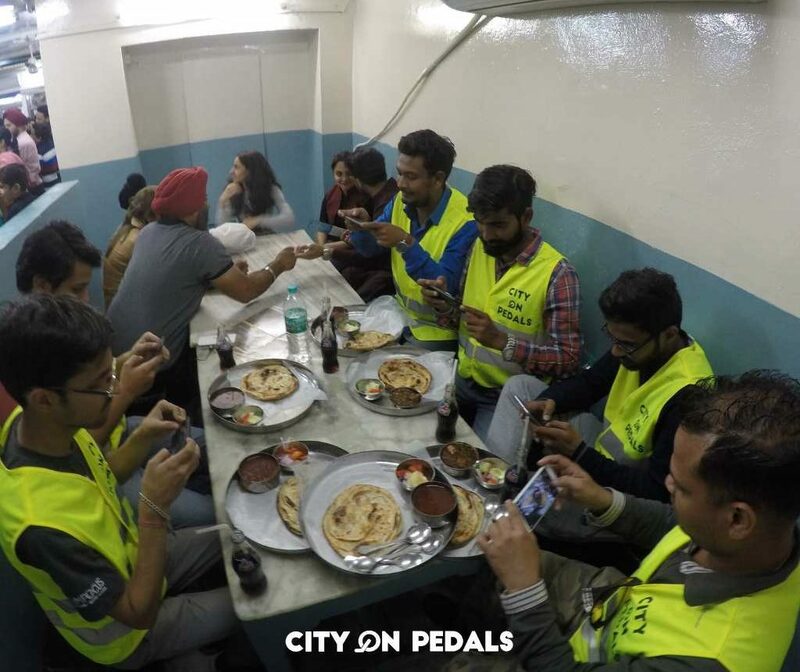 Allow us to reveal the secret culinary activities of the locals and present to you the most diverse food menu ever offered in Amritsar with our well balanced and curated food trail. 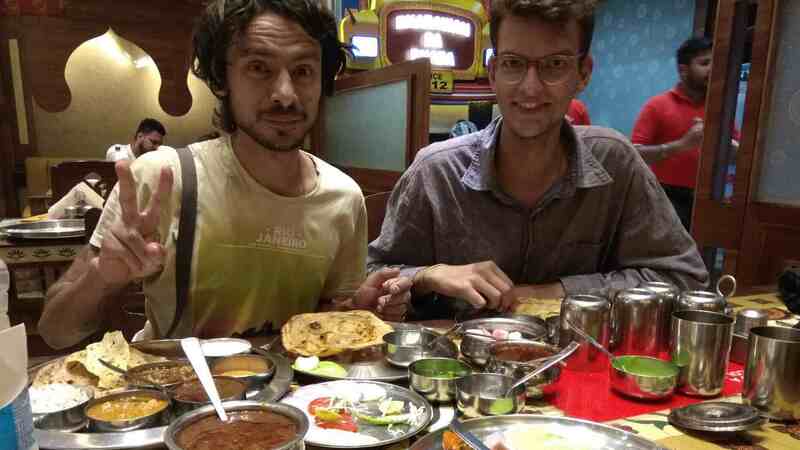 Taste some of the finest Amritsar food from street vendors and dhabas who have been feeding the locals for generations and are hidden in off-the-beaten-path neighborhoods away from the tourist crowds. 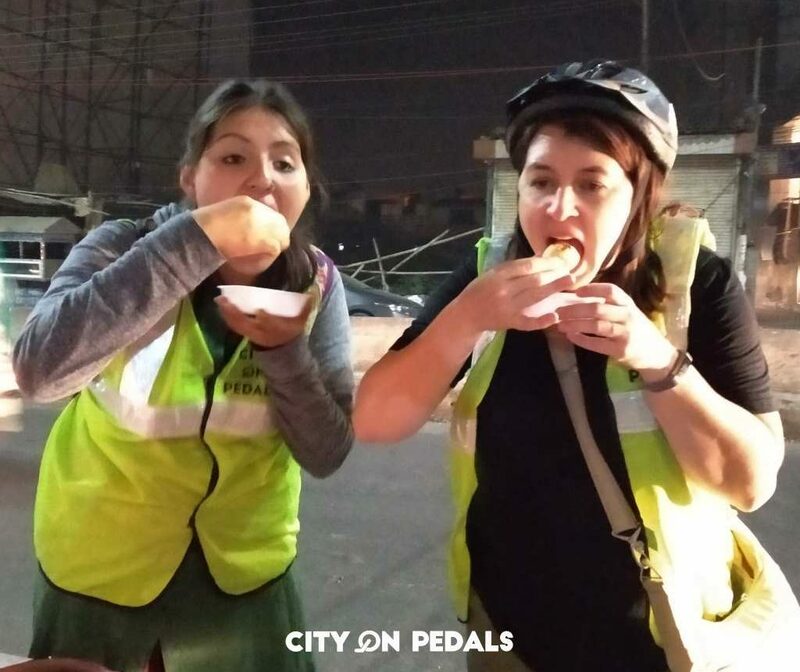 Take in the spectacular night view of the bustling street food corners while pedaling through the traffic and small alleys as we seek for the real authentic Amritsar cuisine. Keep your stomach and camera memory empty for the delicious food to fill them up. Get 10% off by booking our tours up to 10 days in advance! Terms. 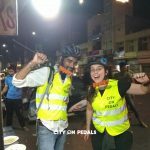 We will meet at the common assembly point at City On Pedals Backpackers Hostel in Rani Ka Bagh from 10 min before the start time. We will start our tour once all the guests have joined. 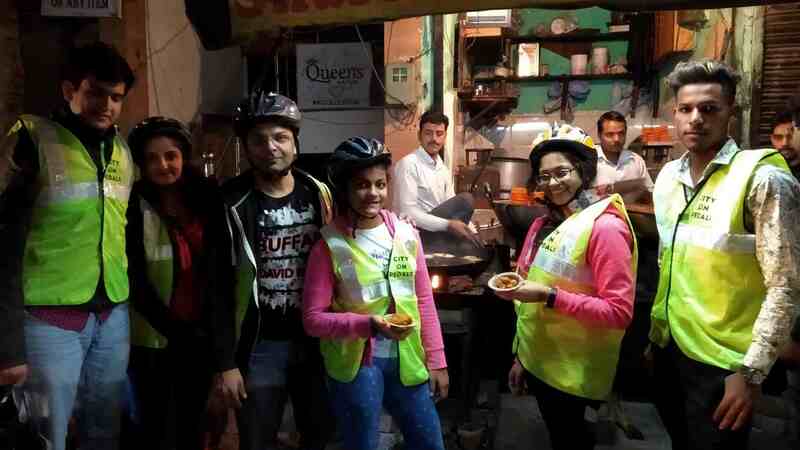 After basic instructions and introduction from our tour leader, we will start the bike ride and go off to explore the street food of Amritsar like a local. 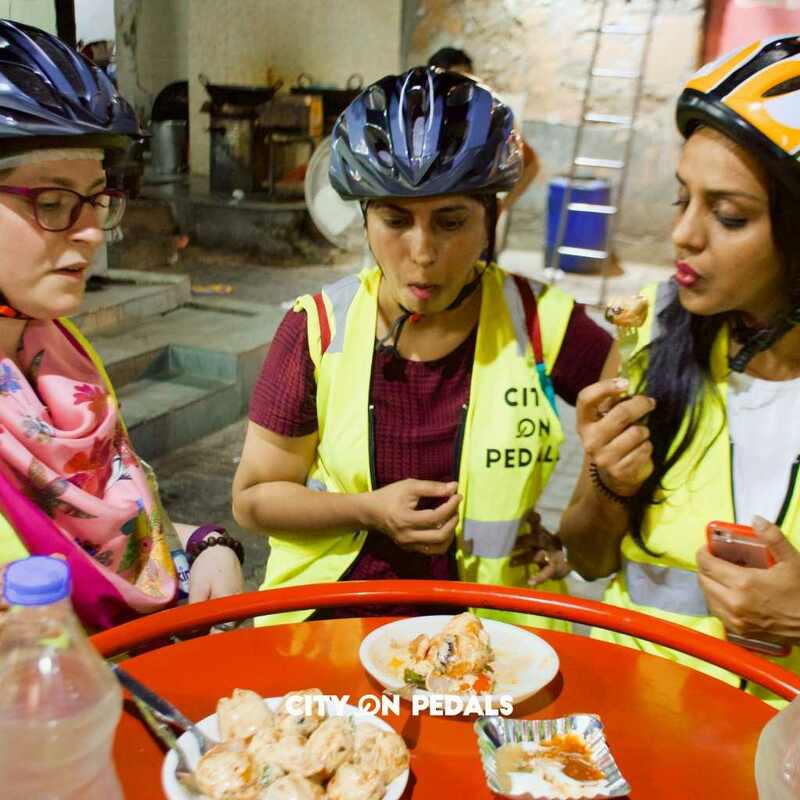 We will ride on the main road for a while which will lead us to one of the best street food areas in the city. 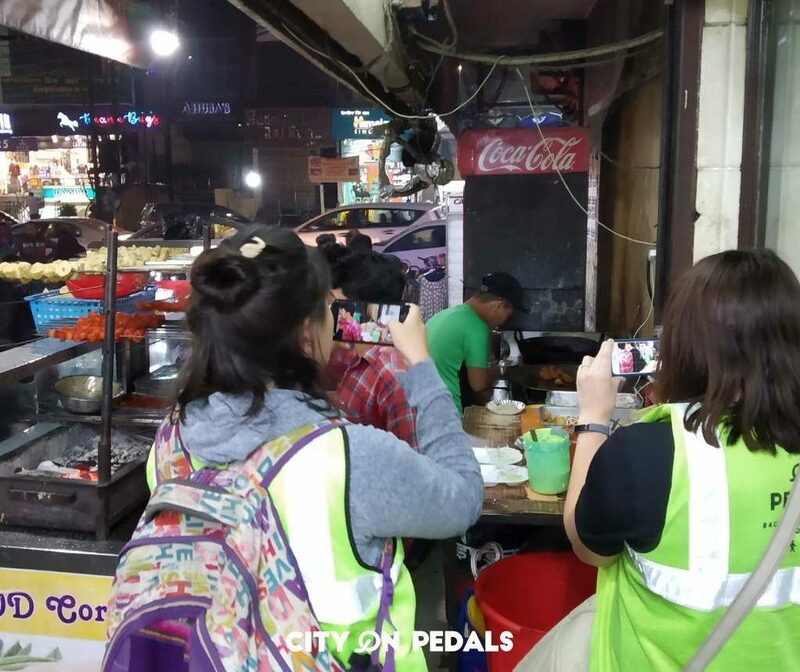 We will start our flavourful journey with our first food item called "Pakoras" at one of the most famous pakora shops. Pakora is a dish which is made by deep frying batter coated vegetables served with spicy and sweet sauce. 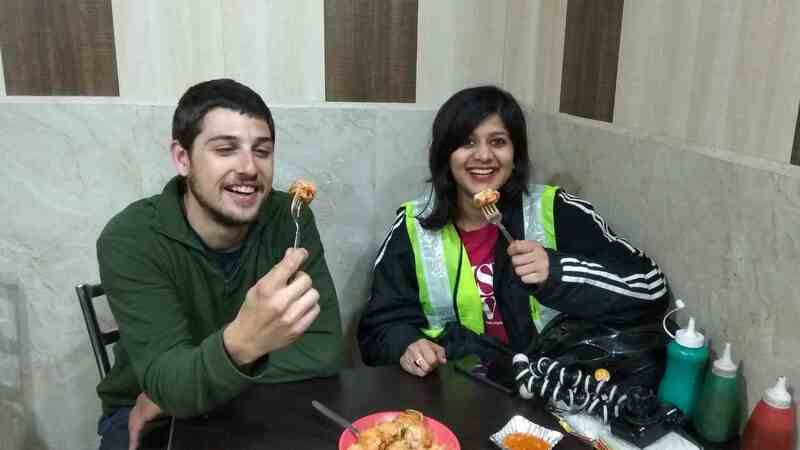 From there, we will go to our next stop that serves Momos (Tibetian dumplings) and veg-champ. Momos have been adopted by the locals by giving it our own twist - barbequed with special spice marinade. Veg-champ, made out of soy extract, is also roasted and mixed with cream and special sauce. 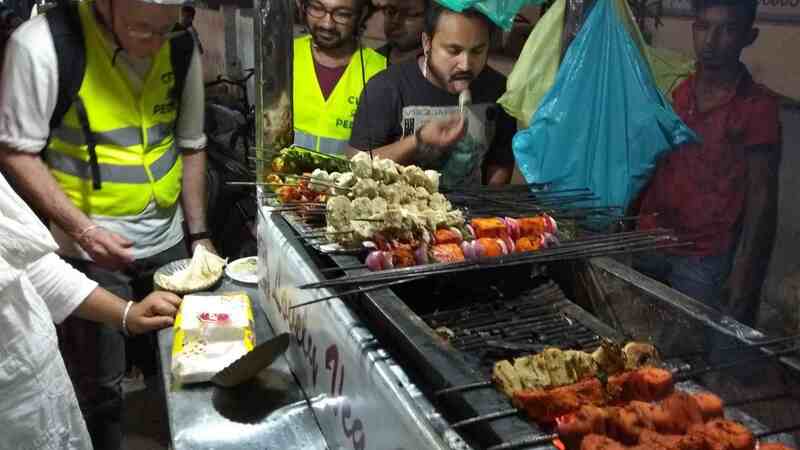 Roasted Momos and Soya Champ are a few of the most popular street food items of Amritsar presently. 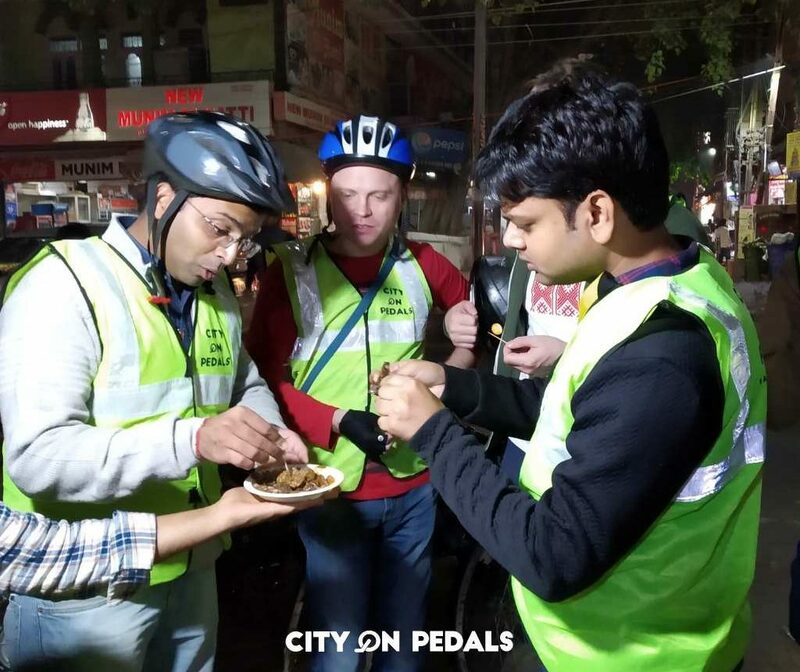 Moving forward, we will go to a very famous and locally loved shop of an Indian candy called Aam Papad. Don’t get misled by the word candy as this food item is made from pure mango pulp and flavored with Indian spices. 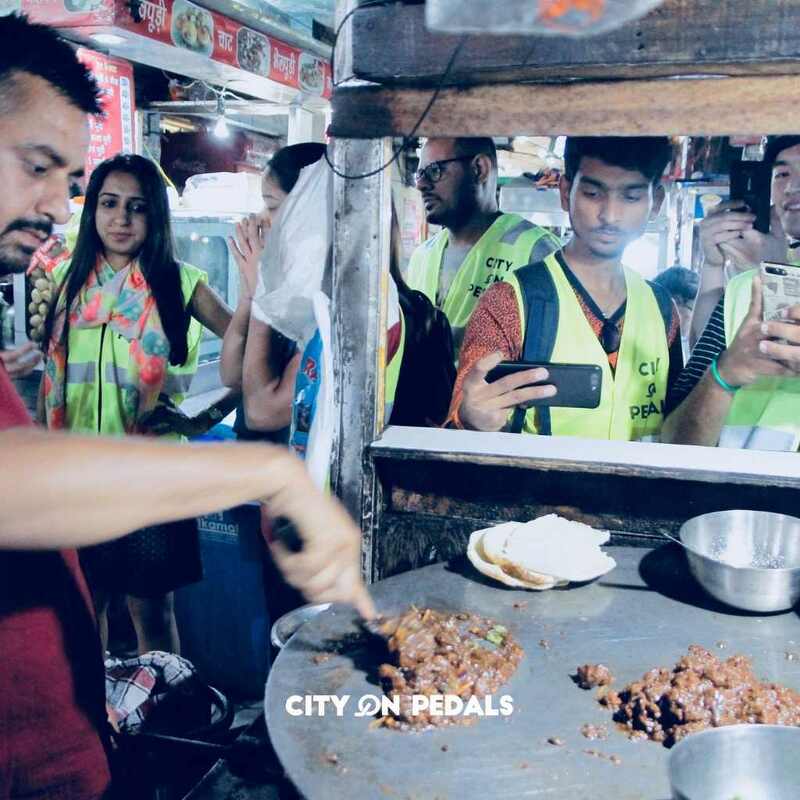 This street food shop has been in business for the past three generations. Riding through the market we will go to our next stop for a traditional Punjabi dinner at a local dhaba. 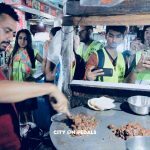 People crave for the food items served at this restaurant, commonly known as a dhaba by the locals. 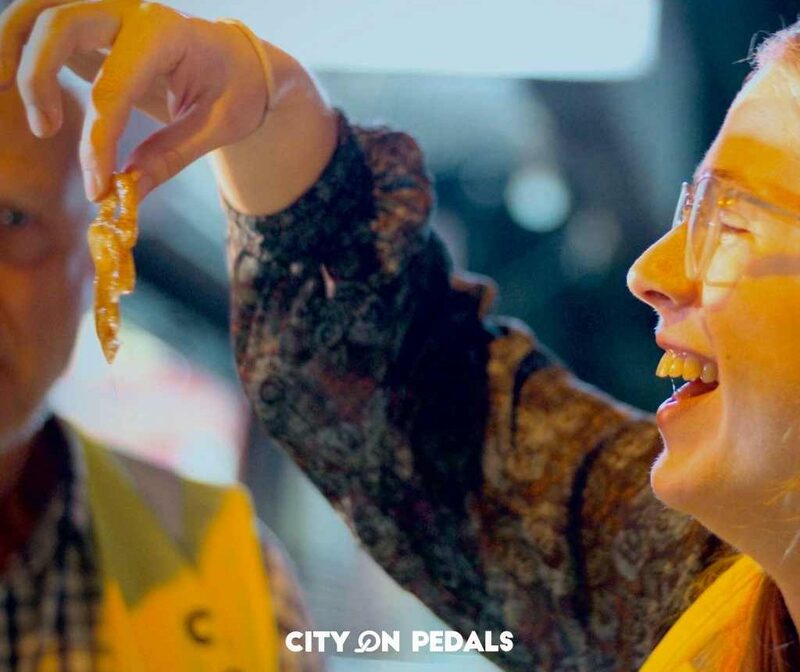 Depending upon the season, we will get to taste some of the most authentic dishes for which people come to our city from all over the world. Before ending our journey, we will make our last stop at a traditional dessert shop. 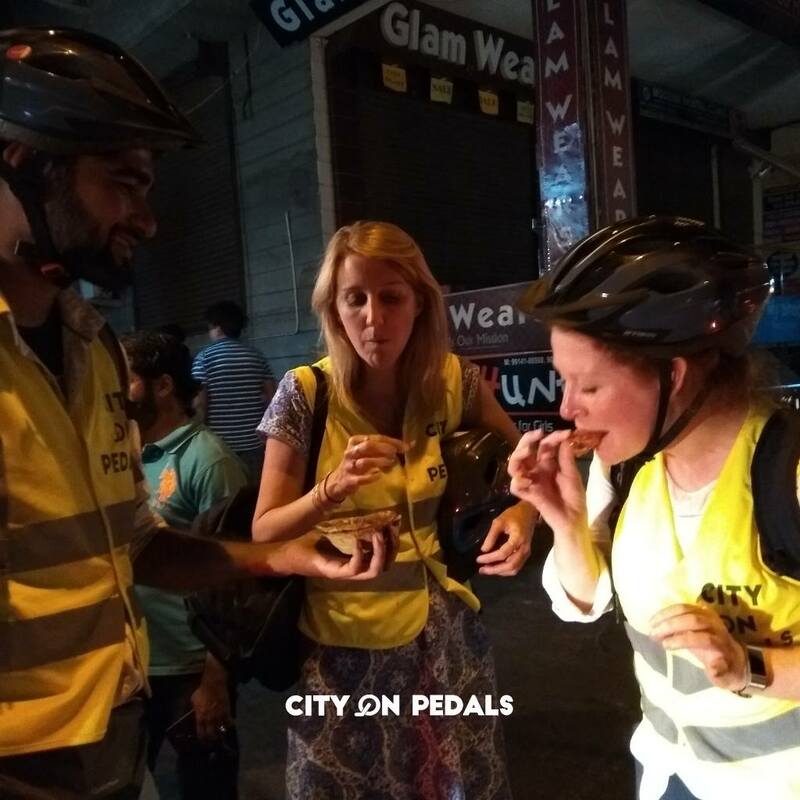 We will eat two of the most delicious and mouthwatering sweets, which are arguably uncomparable to anything in the whole world - Gulab Jamun and Jalebi. 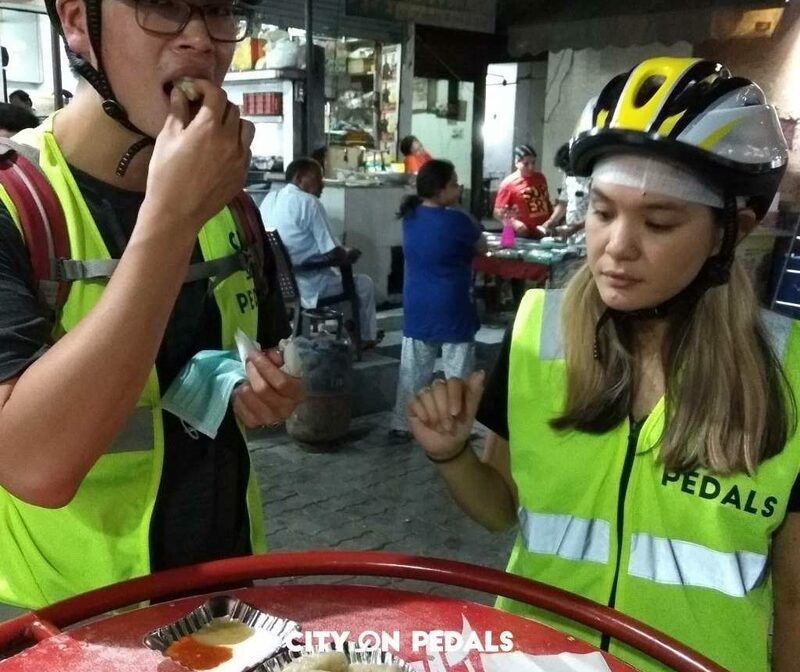 Our street food tour would have been incomplete without adding this delicacy. 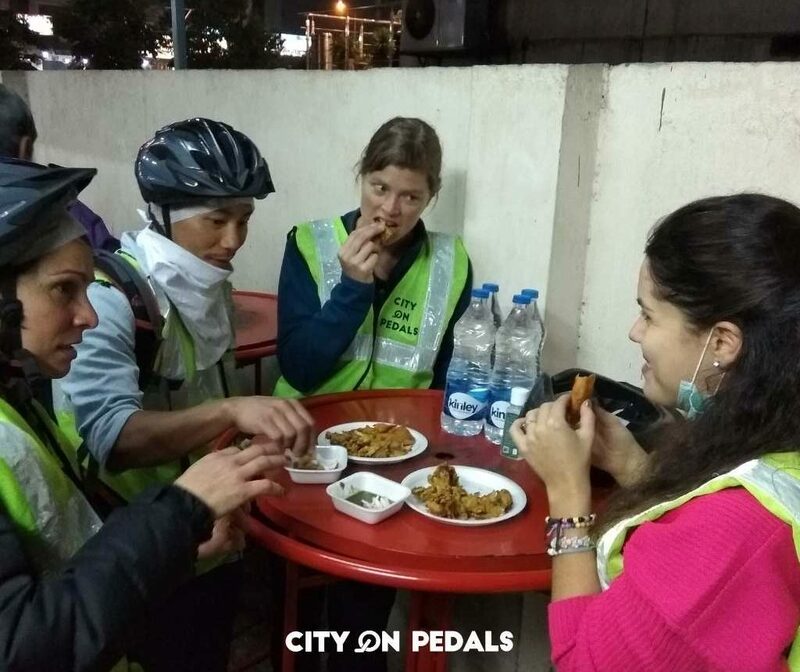 From there, we will ride back to the starting point- City On Pedals Backpackers Hostel, thereby closing this memorable food trail on the bicycles. 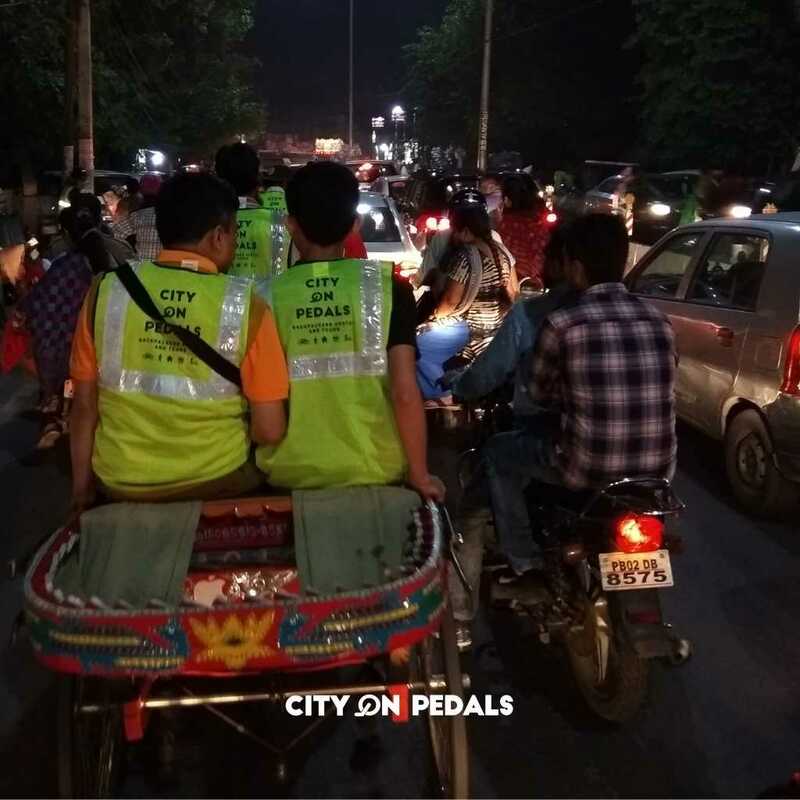 A bicycle rickshaw (max 2 participants) or an e-rickshaw (max 4 participants) with a puller can be arranged on request at an additional price of ₹ 650 per rickshaw. Please note that this may slow down the whole tour. 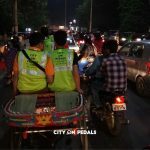 Groups with children below age 12 would not be allowed to ride a bicycle and would have to opt-in for the rickshaw. 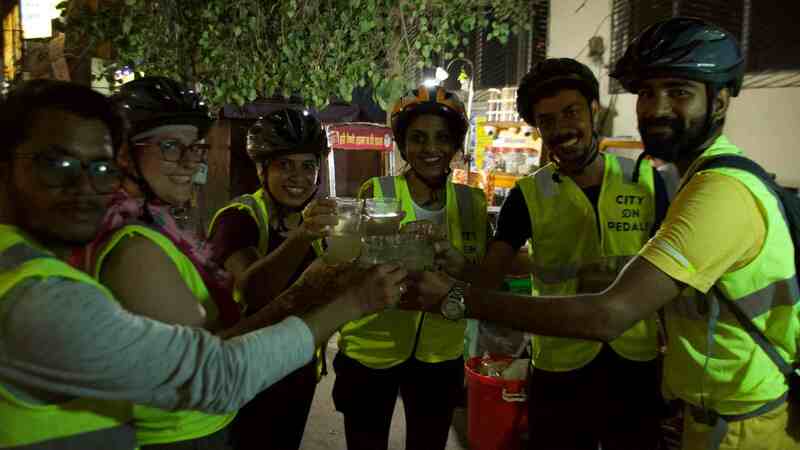 This tour is also available for reservation as a private or custom tour over bicycles or rickshaws or a combination of both with a similar or modified itinerary, desired start time and duration. Contact us directly with your requirements. We take safety seriously. 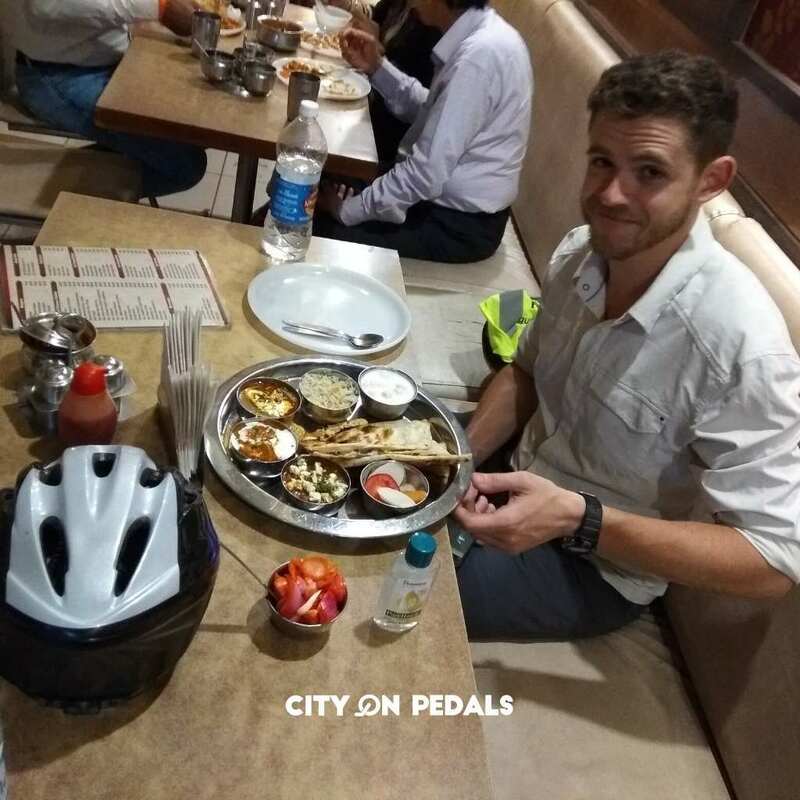 Our quality bicycles are regularly checked, well-maintained, comfortable and carefully chosen for riding in Amritsar. 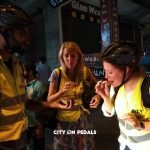 Our tried and tested routes are designed to avoid high-traffic lanes and our tour moves at a comfortable pace so that everyone can enjoy the whole experience. Guest must be able to ride a bicycle. No training is provided except how to control brakes & gears. It is recommended to wear comfortable t-shirts, pants, and shoes. Clothes covering full arms and legs are recommended as they are mandatory to enter some of the religious places. 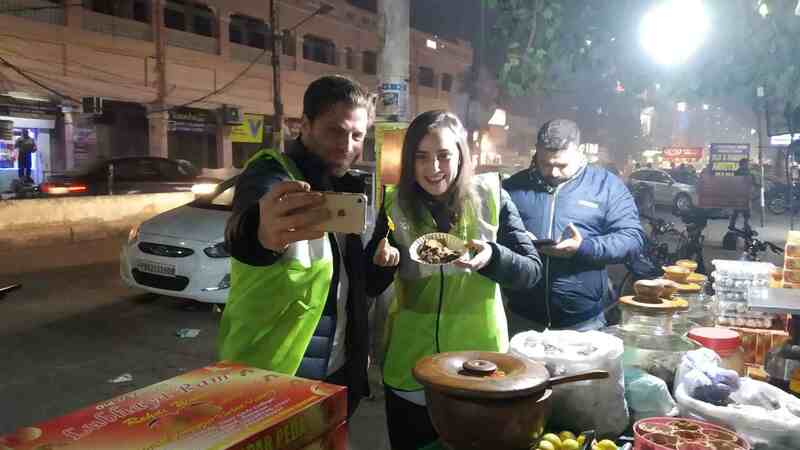 During winters, it is also recommended to carry a warm jacket and hand gloves. Avoid bringing heavy backpacks, camera bags, expensive clothes, and accessories on this tour. 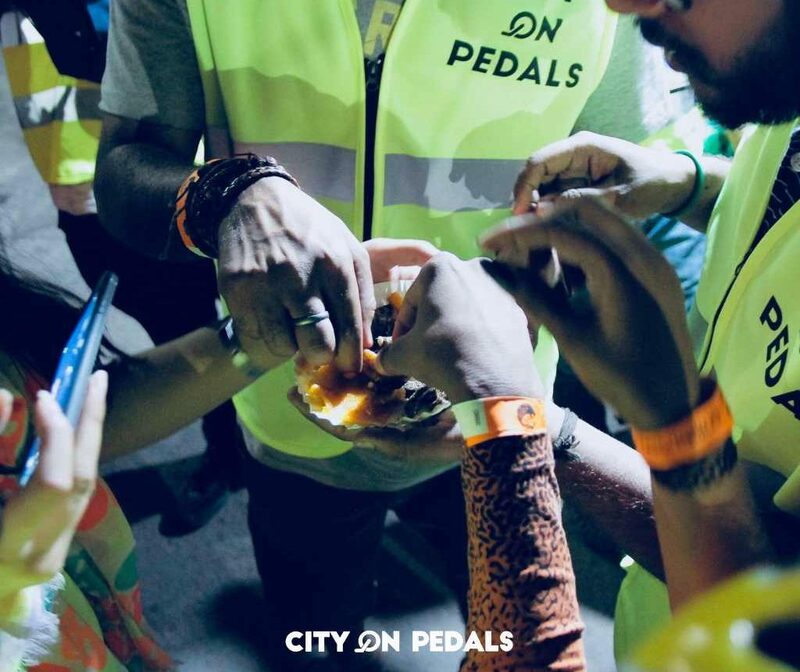 Avoid slippers or sandals and loose outfits which may be unsuitable for riding a bicycle. You must arrange your transportation to the assemble/starting place of the tour. We highly recommend using OLA or Uber as they are more reliable than the regular taxis and have a fair pricing system. 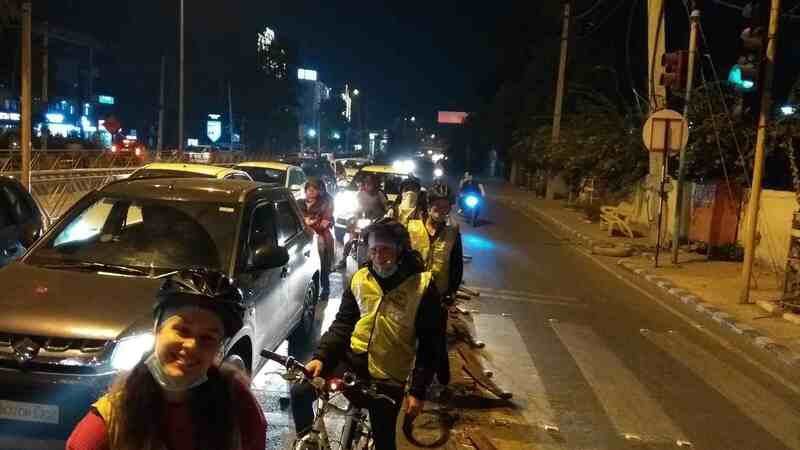 In case you are far from the city center, you may want to ask your hotel/host to help you arrange transportation to the assemble/starting place of the tour. We can also help in arranging the transportation but we also mostly rely on OLA for the pickup. Please advise any specific requirements at the time of booking. eg, allergies in food items, etc. 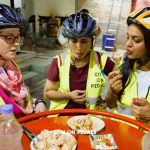 The Amritsar Street Food Bicycle Tour is designed to complement the Amritsar Wagah Border Tour, which offers a whole new way to get familiar with the border ceremony and sighting historical monuments, somehow lost and have become unknown. 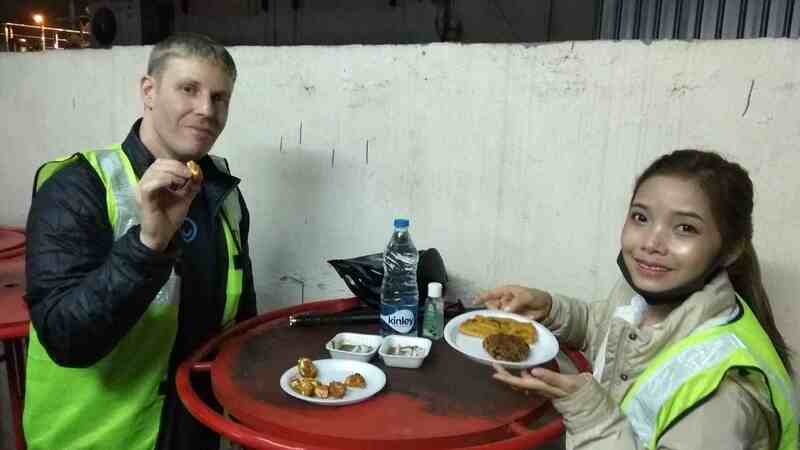 After the intense border ceremony experience, it will be a perfect opportunity to give into the amazing local food items and fill yourself up. All our tours are undertaken on the responsibility of its participants. City On Pedals does not assume any responsibility for accidents that are caused by its customers or can be traced to their own actions. Participants have to agree to the terms mentioned in our WAIVER AND RELEASE OF CLAIMS page before undertaking all trips which means that they realize that all activities carry an inherent risk. 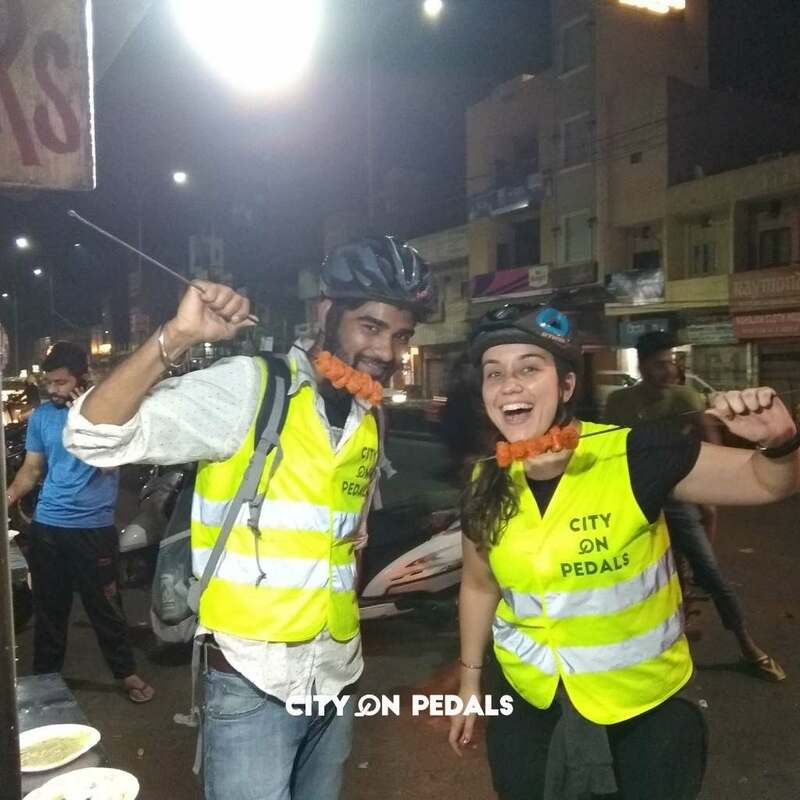 In case of trouble with the tour reservation, please send an email to us at traveldesk@cityonpedals.com or Call us at +91-7888650183. You can also send us a message on WhatsApp, Viber, Telegram or Line on the same number.